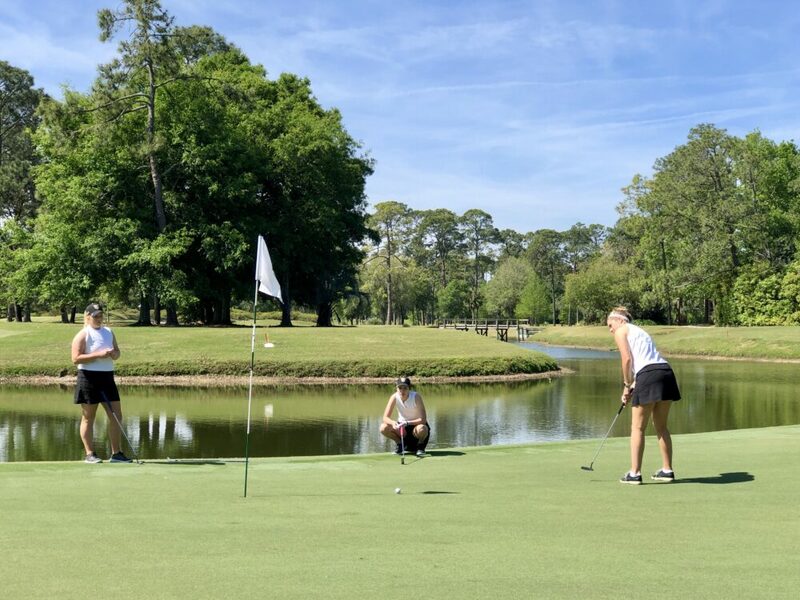 NORMAL, Ill. – The Gustavus women’s golf team competed at the Kathy Niepagen Spring Fling and finished in seventh place of 17 teams with a 318 (+30). Grinnell won the event with a 309 (+21). Kratz finished tied for third place as she led the Gusties on day one with a 75, while Sommerfeld finished with a 76 which was good for a tie for sixth. Ellie Brandt (Sr., Wayzata, Minn.) and Sydney Regalado (Fy., Rosemount, Minn.) finished with scores of 79 and 80 respectively, while Erin Ericson (Fy., Onalaska, Wis.) and Morgan Bleyhl (Jr., Elk River, Minn.) rounded out the Gusties scores as Ericson carded an 84 and Bleyhl shot 88. Tomorrow’s portion of the Invite has been cancelled due to weather.